Even in elite circles, soaring wealth inequality is causing a lot of hand-wringing. Citing a statement by the World Economic Forum—one of the premiere organizations for promoting the interests of the financial aristocracy—a January 2014 report by Oxfam International warns of the impact on “social stability within countries and threatening security on a global scale.” What the members of the WEF really mean, of course, is the stability of the system that perpetuates their rule and their own security. They rightly fear that the current situation is unsustainable. By the numbers alone, we can diagnose serious illness in the system. According to Oxfam, one percent of the world’s population now owns half the world’s wealth. That one percent sits atop a hoard of 110 trillion dollars, which is 65 times the wealth of the bottom half’s share. The richest 85 people in the world (that’s eight, five, not 85 million or even 85-hundred) own as much wealth as 3.5 billion people—half the world’s population. Seventy percent of countries saw income inequality increase in the past three decades, and in twenty-four of twenty-six countries, the one percent saw increases in their share of income. CEO pay has been on a J-curve since the 80s. These numbers largely reflect long-term trends natural to world capitalism, but human agency has played its part too. It is no coincidence that since 2009, in accordance with Wall Street consensus, the Obama-Administration-appointed Federal Reserve enacted policies that resulted in an obscene acceleration of the transfer of wealth from the masses to the wealthy. Since that year, 95 percent of all income gains have gone to the rich as the bottom 90 percent got poorer, corporate profits and stock values have soared to unprecedented levels, and the wealth of the world’s billionaires doubled—again since 2009, under Obama, that dangerous leftist radical and class warrior. To reiterate, this has been a case of wealth transfer; you cannot give to the one-percent without taking from the 99 percent, and indeed this boom-time for the wealthy has been paid for with brutal austerity on ordinary working people worldwide. Despite the numbers above, the claim by lawmakers and their corporate owners is that there is “no money” for social programs and public sector jobs which must be slashed to pay for the soaring debts accumulated as the central banks bailed out the wealthy. And the attacks on working people and the poor have been truly ruthless. Greek workers, for example, have seen five straight years of massive job cuts, throwing thousands more into poverty even as investors demand more cuts to essential health and social welfare services. Partly as a result, unemployment has remained at a staggering 27 percent despite ongoing and by-now unbelievable claims about a “recovery.” Many workers face similar conditions throughout the continent. In the US, working people have been under assault in the form of stubbornly high unemployment, decreasing real wages, cuts to food stamps, the cutting off of unemployment benefits (perversely, around Christmas), tax increases (e.g., payroll tax), attacks on pensions and benefits, cuts to public education funding, increased healthcare burdens from the ACA, and the list, depressingly, goes on and on. It is important to understand that increasing wealth inequality, and all the social misery it brings in its train, is—again—largely just a consequence of the nature of the system. When a few privately own the “commanding heights of the economy” (Marx), they naturally press their advantage, and the result is increasing concentration of wealth and power in their hands and the increasing impoverishment and disempowerment—proletarianization—of the great majority of the people. Facebook memes might blame it all on greedy CEOs, but this is implausible and diverts attention away from the true source of the problem. It’s the whole system that’s sick. In the post-2008 Magisterial documents Caritas in Veritate and Evangelium Gaudium, popes Benedict XVI and Francis I, respectively, have offered a diagnosis and prescription. The cause is basically the entire theoretical and moral foundation of neoliberal globalism, and the cure is essentially bringing economic activity under the control of states on behalf of, and for the good of, their people. To the chagrin of economic conservatives everywhere, Pope Benedict specifically endorses wealth redistribution measures as part of that cure: “…abandoning mechanisms of wealth redistribution in order to increase the country's international competitiveness” hinders “the achievement of lasting development.” Francis calls for policies outside the market—“rejecting the absolute autonomy of markets and financial speculation and by attacking the structural causes of inequality”—to achieve a more just distribution of income. There are several means the popes call for to combat inequality, among them the strengthening of labor unions, effective regulation, and redistributive measures. There’s a lot that could be said in reply to this line of thinking. We could mention the principle of the “universal destination of goods.” which is that the wealth of this world is meant for all people; that private ownership of wealth is just a means of achieving universal well being; that excess wealth—what is over and above what is needed for sustenance—belongs by right to the poor; and that all people, therefore, have a claim to the things that enable them to live a dignified life free from want. Or we could appeal to the related principles of the family wage and the just wage. In essence, these principles obligate the paying of a wage sufficient to meet human need, and allow for adequate leisure as well; a wage that will permit access to culture, education, and, in general, what allows for man to reach his potential. It is impossible for these principles to be realized in practice without altering the distribution of wealth substantially. But I wish to focus on the morality of wealth redistribution measures specifically because it is so badly misunderstood these days. First of all, the Church straightforwardly endorses and calls for these measures: “Authentic economic well-being is pursued also by means of suitable social policies for the redistribution of income which, taking general conditions into account, look at merit as well as at the need of each citizen.” So anyone, especially any Catholic (and there are many), who says that redistribution is theft is saying that the Church is calling for theft. Any Catholic who rejects this aspect of Church teaching is dining in the cafeteria. 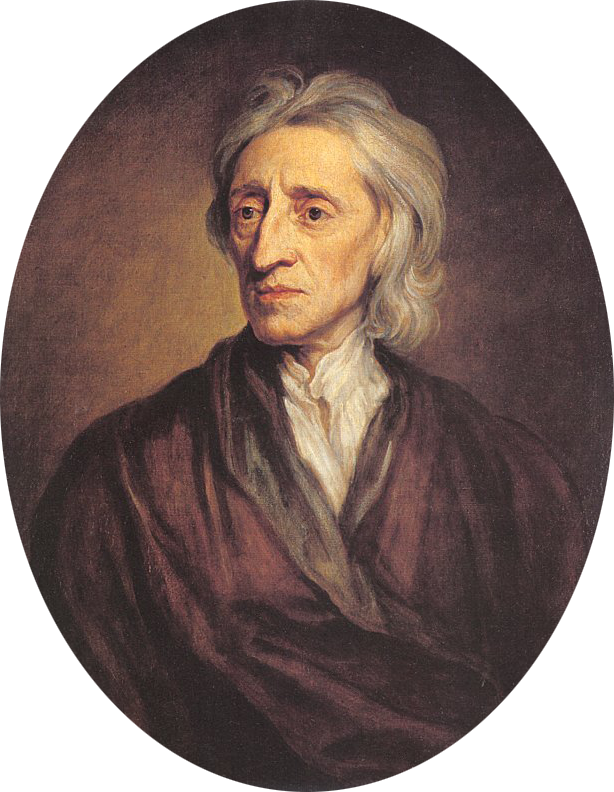 In line with Catholic Social Teaching, Locke holds that the wealth of the world is properly the possession of all men, but also that there should be private property in order that he might make good use of it through his industriousness. This design of God is reflected in the right to private property, which involves a natural relationship between work and wealth: what the laborer “hath mixed his labour with” is by rights his in its entirety. This gives us a basis for understanding why today’s wild inequalities are unjust, and also why wealth redistribution is justified in order to make economic relationships more closely approximate to justice. For example, I calculate that the CEO of McDonald’s makes about 930 times as much as his average employee. Consider what this means. Suppose you and I have jobs picking vegetables in a field. In a day, I work at a good pace and pick one hundred pounds of vegetables and get paid one hundred dollars. You, on the other hand, really push it and manage to pick double what I do. Your effort deserves to be rewarded, surely, and the least that this would mean would be double the pay since you did double the work. We could perhaps imagine someone who pushed himself to the brink of exhaustion harvesting three times, maybe four times, the amount of produce, but ten times is hard to imagine—let alone, say, one hundred times, and 930 times is at the level of the absurd. And unjust. Yes, the CEO contributes to production in most instances, but not nearly as much as is implied by his income. To see this, consider what would happen in the absence of the CEO: nothing. McDonalds would survive as others stepped in to perform the functions of the CEO. That work is worth something but surely not the radically disproportionate amount he’s being paid today. On the other hand, suppose there were no more workers in the franchises themselves or in the factories that process the food before it’s shipped to the restaurants. Labor is the “primary efficient cause” of all wealth. It follows, then, that workers are entitled to the wealth they produce, since through mixing their labor with what nature provides they have made it their own. It may be that enterprises find it necessary or at least very useful to have someone in the role of chief executive; it may even be that he contributes more than the average cashier to the total output of the company. If so, his pay ought to reflect this. But it is totally irrational and unjust to pay him at a level that implies that he does 930 times as much work as the worker who actually produces the goods. This is, after all, money that could and should be distributed among the workers. And certainly the major shareholders and boards of directors who appropriate most of the profits of the company, since they contribute exactly nothing to production, should receive compensation in kind. So, we can reasonably conclude that inequality represents real injustice. I believe it flows from a distorted relationship between labor and wealth. The natural law would make workers the recipients of the full product of their work, but this is not what happens in capitalism. Instead, the owners of the means of production, as is natural from a certain point of view, seek to maximize their advantage. The more they hold down wages, the more profit they receive. The same goes for taxation: lower taxes means more wealth for them, but less for workers, since tax cuts usually happen at the expense of social programs, which are of direct benefit to working people (e.g., food stamps). This process of increasing accumulation of the world’s wealth at one pole and increasing pauperization at the other has been ongoing for some time, and in the absence of strong leadership among the nations on behalf of their people, it is likely to go on until the situation becomes intolerable. And, again, it also represents an injustice. Wealth redistribution measures are meant to ameliorate this injustice. But as with so many other areas of human life, we have lost the sense of the natural law and the harmony it brings to the social sphere when realized. Today’s dangerous levels of wealth inequality require us to rediscover this sense and bring it to bear on the problem. Caritas in Veritate, par. 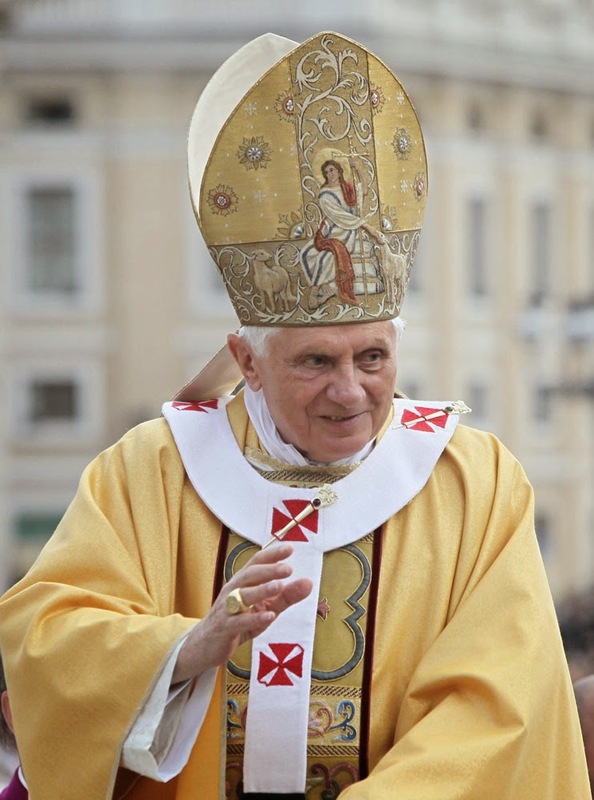 32, http://www.vatican.va/holy_father/benedict_xvi/encyclicals/documents/hf_ben-xvi_enc_20090629_caritas-in-veritate_en.html. Evangelium Gaudium, pars. 202-8. The quotation is from par. 202. Pontifical Council for Justice and Peace, Compendium of the Social Doctrine of the Church, Washington, DC: USCCB Communications, 2004, pars. 328–9. For the family wage, see ibid. par. 250 and for the just wage see ibid. par. 302. John Paul II, Laborem Exercens, par. 12, quoted in Compendium of the Social Doctrine of the Church, par. 277. John Locke, Second Treatise on Civil Government, Chapter 5 sec. 27, online at http://www.constitution.org/jl/2ndtreat.htm.